Unless you've been living under a rock for the past couple of weeks, you've been hearing about Samsung's issue with their Note 7 smartphones deciding to explode because of a manufacturing issue with the phone's internal battery. 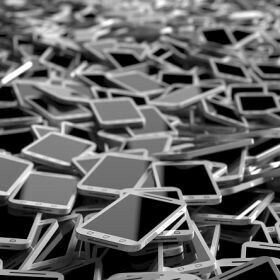 The exploding phones have not only caused Samsung's stock to plummet to the ground, but it's also created for some rather scary stories. On September 8, there was a report out of Florida that a Galaxy Note 7 exploded inside a man's Jeep and caused the entire inside car to burn to a crisp. The man and his family were left untouched, but the owner of the Jeep's daughter had been using the Note 7 just minutes before the explosion took place. 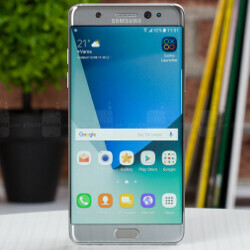 However, there was another report this past Sunday that a 6-year old boy in Brooklyn, New York suffered burns when a Note 7 exploded in his hand. However, that last story has since be brought back up with some conflicting information. According to new information that was released by NBC New York, the 6-year old kid who was burned wasn't using a Note 7 at all. Instead, he was using another Samsung product - the Galaxy Core. The Galaxy Core was released more than 2 years ago, and this is the first time that we've heard any reports of battery issues like this that the phone has experienced. However, this doesn't mean that all Galaxy Cores now have faulty batteries as well. 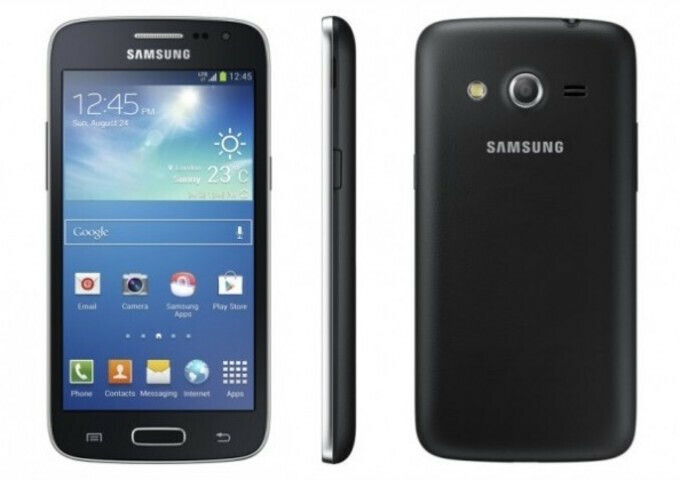 You see, the Galaxy Core is one of Samsung's older handsets that featured a user-replaceable battery. Seeing as how the phone was released back in 2014, we wouldn't be surprised if the owner of the phone had swapped out the battery for one of a third-party. 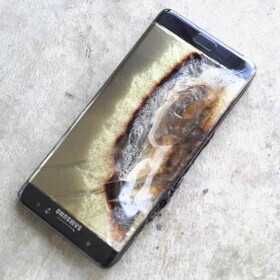 However, if it does turn out that the battery was an official Samsung one, does that mean that Samsung has had issues with the quality of their batteries prior to the Note 7? If so, why haven't we heard anything major like this until the Note 7 recall? 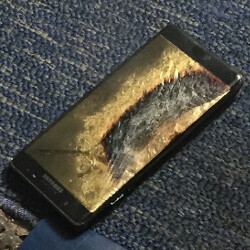 There's a chance that more issues like this have taken place prior to the Note 7 recall, but simply went unreported. If so, just how many unreported issues are we looking at? We are engaged with the Lewis family to ensure we are doing everything we can for them and their son. Consumer safety remains our highest priority as we are investigating the matter. 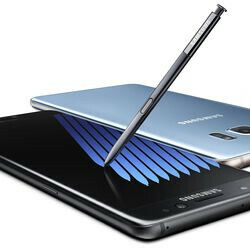 The issue revolving around the Note 7 is a serious one, and just because the 6-year old turns out to have been using a Galaxy Core, doesn't make the matter of the Note 7 battery any less of a serious one. 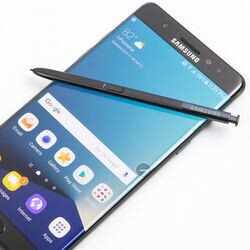 If you're still the owner of a Note 7, we strongly encourage you to take it in to whatever outlet you purchased it form and take advantage of the many exchange programs that are currently going on. It might seem like an inconvenience to you, but it's not a matter of convenience. It's a matter of you and your family's safety. Like we need to keep tabs on a six year old boy over a phone (any phone). Fave my daughter an iPad to take to school - with "find my friends", I know where she's at, and get notified when she leaves school, and gets home.... I simply cannot live without that feature. you would know how nice it feels to know where your kid is at any given moment. How old is your offspring, bruh? Anyways, being able to track her movements makes you a privacy-invading daddy! Just kidding. Can do this on any android phone btw... https://support.google.com/plus/answer/2998354?hl=en Also there was many iPhone issue in the past and even ppl died from iPhone exploding and electrocutions. Its part of life any electronic can fail. Still i give Samsung a + for doing what they are now. But a big minus for the fact they cut corner round for quality check. The bigger a OEM get the more they cut corners..
Man shut that sh!t up, we know that, we read tech news too. Stop making those bitchy excuses...Samsung f'd up. Now they're fixing it. Samsung Loyalists/Fanboys when Samsung does something wrong: "But.....But APPLE Did this and that!!!!" Mororun. That's way too much work (I rather say, Siri, where's my daughter. Let me know when she leaves her location") and you have to let Google in on the tracking. There are third party apps too, but I'm not gonna trust some third party developer with location of my family. Also, I just love iOS. I prefer the integration of find my friends. Google plus is way to invacive for my tastes. "you have to let Google in on the tracking." How do you think find my friend works? Do you actually think no one besides you is tracking? Well said Ailk. Sometimes a non parent simply can't relate to parental matters. Thought you hated people bringing apple into the conversation when the topic isn't about them, now you're commending another comment that does that? What's with the double standards? Roboticengi, when your kids are under 7 years old - it's a relief to know where they are at anytime. Kind of an age specific - of you're tracking hem when they're 17 and older - that maybe overstepping. Either way, you expect your kids to be where they're supposed to be - this technology lets you know that it's all ok. I don't know if you have kids, I got little ones - having a peace of mind is bliss. I use Android Device Manager for peace of mind with my son. I don't track him, but if I ever needed to, he could be traced. I also have a carrier activated Gear S2 that he wears. So when he goes to school, his cellphone can be kept in his locker, but if anything happens, he still has the ability to make a call (useful with the violence that occasionally happens in schools). Plus, it's got GPS, too located him in an emergency. This generation doesn't even know what a pay phone is. Hey look, another Samsung product pitch from tedkord. Hey look, another assinine troll post from Mxyzptlk. Well thanks for tablets, my 4 years old daughter is bilingual and she is yet to go to school. Her native language is arabic, but she is extremely fluent in English. Not just it is perfect for educational purposes, but I use the tablet as a tool for either punishment or an award depending on her behavior. She has a Tab S, and the built in Kids Mode makes my life a lot easier in managing the time limit, apps, and even gallery. As DJ said, only parents can relate and see the benefits of giving your toddler a tablet/smartphone. There might need to be a warning label about children and smart phones. Can't read an article without a phone apparently exploding. But how come did PA authors mistake that Galaxy Core for a Note7 in the original article? There's a huge difference between 4.3" and 5.7"! It's not PA's fault. The grandfather didn't know the difference between both phones, he just concluded that it is a Note 7 since that was the 1st thing he read about after their phone exploded. All media outlets got it wrong, not just PA. Honestly it seems something fishy going on. I know that maybe some are true reports but now I'm thinking people reporting it's the note 7 just to tarnish it since it really is besides the Nexus 6p and new pixel phones the best big phone out. The Galaxy S7 edge just gave someone 3rd degree burns the other day. Samsung as a company needs to fix this issue not only on the NOte 7, but all their devices to check if the chemicle bonding within the battery during production has affected different product lines. IPhone did the same to someone not long ago. IPhone also killed ppl by electrocution because they used it as its was charging. Also ppl died in fire caused by iPhone. This can happen to any OEM. There's no point in flogging a dead horse, bruh... Apple fans will ignore the fact that iPhones have also exploded and caused harm to people too. Really? I donot ignore the fact. I want apple to keep strict checks on its devices' security. So do several other apple lovers. Thus a bunch of fanboys shouldn't be your reason to prove all fans as idiots. Not thru a design flaw. What is if then if a phone that's charging and being used at the same time causes death or harm? Sounds like a design flaw to me. Are you saying they were designed to do these things and they acted exactly as designed? Makes sense.